Here's a slightly different kind of routine. It's infrequent and abbreviated, but not when it comes to the work aspect once you get going. I saw it in a letters section of a magazine, one that was only available by mail quite a while ago. Each workout takes about an hour, even though there are only three exercises in each session for a total of nine sets. Take long rests between the squat and dead sets. Work out twice a week, say Tuesday and Saturday, and no more. Start the squats and deadlifts at low intensity to get used to the higher reps for those three sets done with a constant weight. Work gradually from there. I said gradually! Don't be in a hurry with those two moves. The others, well, just go for it after the first week. Real simple, sure, but over time real hard work-play. And with all that free time away from the gym you'll be able to argue more online about how lousy this routine is! Enjoy! Bench Press - 3 x 12 (add weight when you can get 12's in all 3 sets. A lot of you assholes see 20's in the squat and immediately think death set. Stop it. The third set of the three 20's (all three sets with the same weight) should let you know why this is working. You should see a marked increase in your appetite for food from those squat and dead sets, and find that your, what's the current word for it . . . conditioning . . . will improve. Sense of well being. The opposite of slow, dopey and sloppy. They'll hype you up. Take a half hour or so walk on three non-workout days and let your body do its thing. Enjoy being alive until you're not anymore. In the deadlift, a lot of the same assholes see "deadlift" and think the exercise is useless unless you're piling on every plate you can find and doing sets of 5 or less. Get over it and grow. Same weight for each set. Like that little fishy up there . 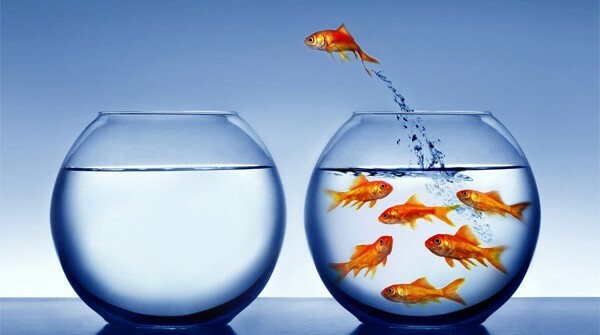 . . don't be afraid to take a leap and leave the others behind.